Southeast Asia's largest acquisition deal was signed this weekend. Earlier this morning, Singapore-based Grab announced that that it has acquired Uber's Southeast Asia operations. This ends the nearly-five year old journey of the US-based company in the region, which began in Singapore. Southeast Asia's largest acquisition deal was signed this weekend. Earlier this morning, Singapore-based Grab announced that that it has acquired Uber's Southeast Asia operations. This ends the nearly five-year-old journey of the US-based company in the region, which began in Singapore. Grab now plans to integrate the latter's ride-sharing and food delivery business (Uber Eats) in eight countries in the region - Cambodia, Indonesia, Malaysia, Myanmar, the Philippines, Singapore, Thailand and Vietnam - into its existing multi-modal transportation and fintech platform. In return, Uber will take a 27.5 per cent stake in the company and its CEO, Dara Khosrowshahi, will join Grab's board, which has reportedly been valued at $6 billion. "This deal is a testament to Uber's exceptional growth across Southeast Asia over the last five years. It will help us double down on our plans for growth as we invest heavily in our products and technology to create the best customer experience on the planet," said Khosrowshahi. In an email sent out to Uber's staff announcing the deal, Khosrowshahi said that around 500 employees across the eight countries mentioned above will transition to Grab and acknowledged that "combining forces with Grab is the right thing to do for Uber for the long term". He went on to explain just what Uber stands to gain from this deal. "After investing $700 million in the region, we will hold a stake worth several billion dollars, and strategic ownership in what we believe will be the winner in an important global region," said the CEO. After all, it boasts a population of around 640 million, and counting. 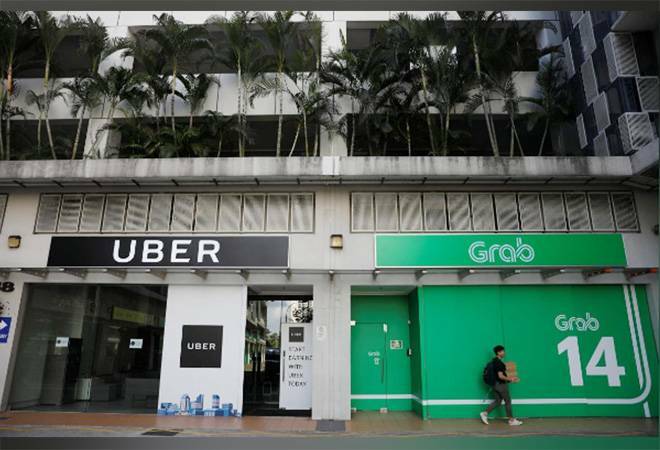 This, incidentally, is the first major consolidation that the region has seen in this industry, and intensifies the pressure on rivals like Go-Jek in Indonesia, backed by both Google and China's Tencent Holdings Ltd. To minimise disruption, Grab and Uber are working together to promptly migrate Uber drivers and riders, Uber Eats customers, merchant partners and delivery partners to the Grab platform. The Uber app will continue to operate for two weeks to ensure stability for Uber drivers, while UberEats will run until the end of May, after which the US-based company's delivery and restaurant partners will move to the GrabFood platform. With the combined business, Grab will extend its leadership as the most cost efficient Southeast Asian platform and drive towards becoming the leading online-to-offline (O2O) mobile platform in the region. "We are humbled that a company born in SEA has built one of the largest platforms that millions of consumers use daily and provides income opportunities to over 5 million people. Today's acquisition marks the beginning of a new era," said Anthony Tan, Group CEO and Co-founder, Grab. This, of course is not the first time that Uber has withdrawn from a market in the face of bruising competition and mounting losses. In 2016, Uber had sold off its China business to a competitor and partner, Didi Chuxing, taking a stake in the latter. The following year, it agreed to merge its ride-hailing business in Russia with Yandex, a local search-engine leader that also runs a popular taxi-booking app. Khosrowshahi's recent letter to the company's staff acknowledged as much. "It is fair to ask whether consolidation is now the strategy of the day, given this is the third deal of its kind, from China to Russia and now Southeast Asia. The answer is no," he penned, adding, "One of the potential dangers of our global strategy is that we take on too many battles across too many fronts and with too many competitors. This transaction now puts us in a position to compete with real focus and weight in the core markets where we operate, while giving us valuable and growing equity stakes in a number of big and important markets where we don't." Given that India is one of the markets where the company is not making any money, despite accounting for over 10 per cent of Uber's trips globally, it's long been speculated that a similar exit story will play out at home in the near future. Especially, due to the SoftBank angle. The Japanese conglomerate, as a major investor in Uber as well as several of its rivals, seems to be encouraging consolidation to tackle potential conflicts of interest. It happened with China's Didi Chuxing and now with Grab, both part of SoftBank's portfolio. So a tie-up between SoftBank-backed Ola next does not seem far-fetched. In fact, after SoftBank picked up a stake in Uber last December, it had announced that it wanted the company to focus on more profitable markets like the United States, Europe and Australia, not Asia. Obviously this is because the pressure to subsidise rides in the region was bleeding out the company, contributing substantially to Uber's $4.5 billion losses in 2017, reportedly 61 per cent jump year-on-year. However, on his recent trip to India, Khosrowshahi had repeatedly told the media that he had no exit plans. "The Indian market is an incredibly important market a core market for us...I can't specifically disclose how much we invest in India but I can tell you it's a lot, and that investment is going to continue," he said last month in the capital. "As a company we talked about being a $40 billion growth bookings run rate but we account for less than 1 per cent of the overall transportation industry. This is a $5 trillion industry that we are competing in and that is the ultimate size of the prize that we are aiming for. So if we weren't investing in these kinds of big markets with a big population [India and Latin America] that have a lot of growth ahead of them then we won't meet the target," he added. Significantly, he had added that courtesy the discerning Indian consumers, be it in terms of price or quality of service, "India can, essentially, be a sort of laboratory for us for the next 6 billion consumers who are going to have exposure to our products." With Uber eyeing an initial public offering as early as next year, Khosrowshahi will have his hands full trying to strike a balance between short-term profitability and long-term growth potential.